After one of arguably the best headline performances in Boomtown’s history, festival organisers released Gorillaz’s live performance of ‘Feel Good Inc’ so that we could relive a few minutes of this spectacle of music and arts forever. Gorillaz are the world’s most successful digital band, fronted by former Blur frontman Damon Albarn. Their Lion’s Den Friday night slot was one of the best live moments of the year in the UK festival scene, and we can’t wait to see who will be topping the bill at this year’s festival. Talking of this year, it’s January! So, let’s discuss Boomtown Chapter 11: A Radical City. 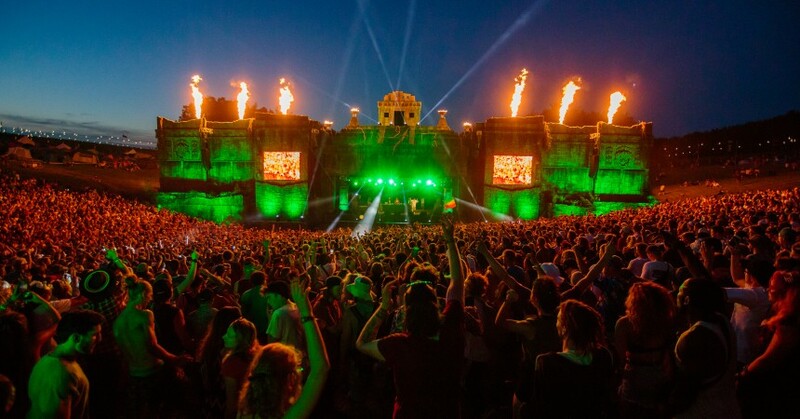 Now providing festival goers with one of the most amazing, interactive and immersive festival experiences in Europe for more than a decade, Boomtown organisers promise 2019 to be another incredible year of music, arts and culture. In just over a month, the festival will announce its first set of names for this year’s bill. We wait in very eager anticipation. With just over 200 days to go, tickets for this year’s festival are running out very very fast. Don’t miss out! There are now only Tier 3 and Tier 4 tickets left, so get yours today –> here.